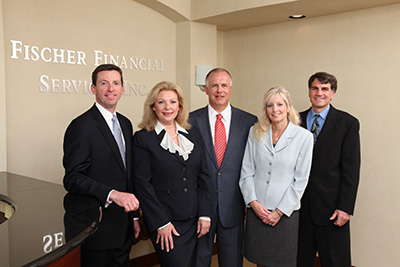 Fischer Financial Services, Inc. is an independent investment management firm located in Harrisburg, Pennsylvania. Established in 1988, the firm now serves clients nationwide. Fischer Financial Services, Inc. is a Registered Investment Adviser with the U.S. Securities and Exchange Commission. Fischer Financial Services is 100% focused on providing investment management services. All of our firm’s resources are devoted toward growing our clients’ accounts. We do not try to be all things to all people. We chose to specialize and excel in investment management. In today’s complex and fast-paced world, investment management is not a part time job. We have determined that is it virtually impossible to be an expert in all areas of financial services (i.e., tax, investment, insurance, estate, pension administration), so we decided to become specialists in investment management. Our firm does not sell products or earn commissions. Our only motivation is to manage our clients’ accounts objectively and in their best interest. We continue to serve institutions, high-net-worth individuals, and business owners. We are very proud of our performance and have a 26-year GIPS compliant track record as proof. When FFS, Inc. began its corporate life on June 30, 1988, our mission statement was (and continues to be) to protect our clients’ best interests by faithfully managing their investment accounts with the utmost integrity. Our highest commitment is to always place each investor’s unique needs first. Each client receives the full attention of our portfolio managers and staff. If you are interested in learning more about any of these types of accounts, please contact our office at 1-888-886-1902. We would be happy to discuss your particular financial goals and objectives.